Today was the last day (Day #7) of Chocolate and Peanut Butter Theme Week. 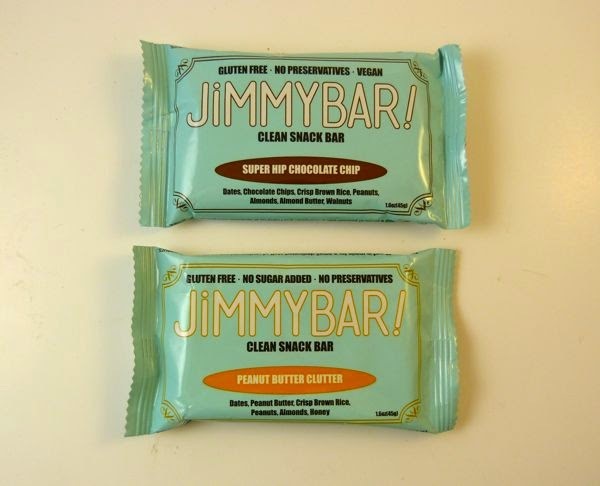 These two "clean snack bars" from JimmyBar! (founded by a brother and sister team in Chicago, IL) were very similar. In fact, if you'd held both up side-by-side, you might have trouble telling which was the chocolate and which was the peanut butter flavor. In terms of taste, the Super Hip Chocolate Chip bar was clearly the one with chocolate; chocolate chips were the second ingredient, listed, after dates. 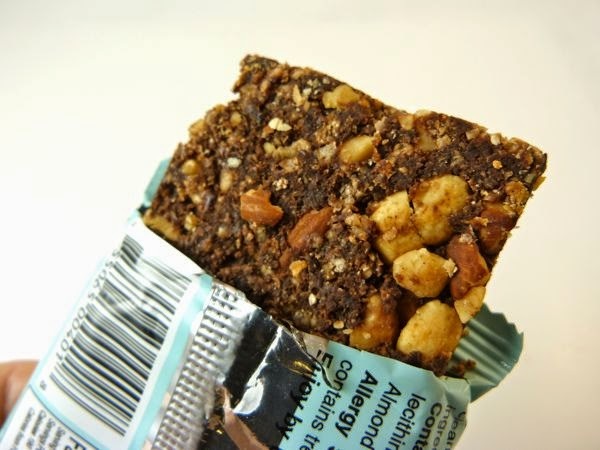 And peanuts, almonds, almond butter and walnuts gave this bar a satisfying, fresh nutty flavor and texture. In fact there were so many nuts, the bar was slightly crumbly, although I didn't find this too problematic. Dates were also the first ingredient listed in the second, Peanut Butter Clutter, bar; its dark look was similar to chocolate. I tasted the dates, nuts (peanuts, almonds) and honey (no sugar was added). However, the peanut butter was more muted -- perhaps mellowed by the addition of crisp brown rice. 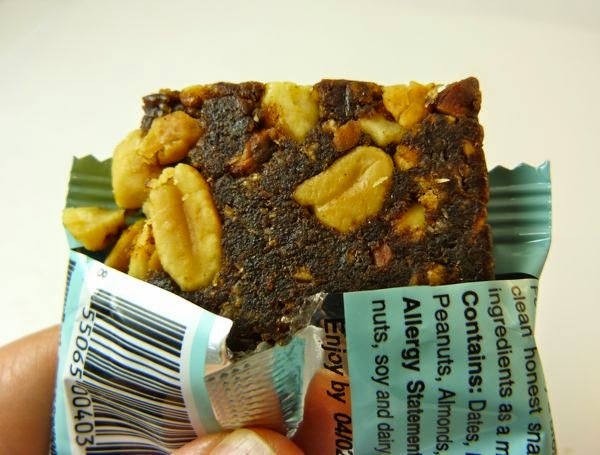 Both JimmyBars were gluten free and dairy free, and were made without preservatives. The Super Hip Chocolate Chip bar was also vegan. I also liked that these bars were flavorful but not overly sweet.